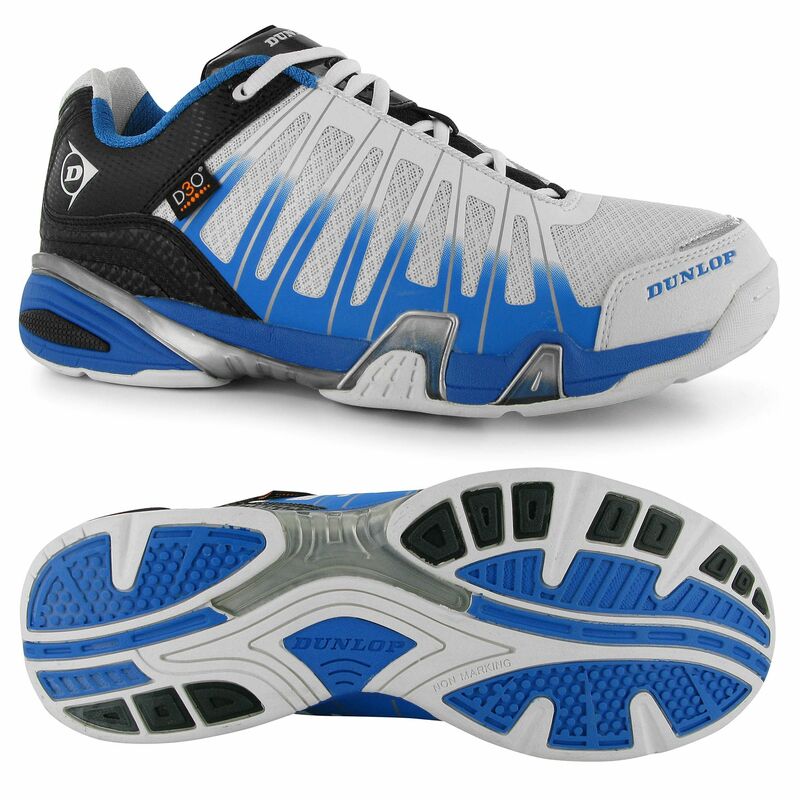 The Ultimate Lite are stylish mens shoes from Dunlop designed for use on indoor courts. Their Hot Melt upper construction ensures lightweight performance, whereas the AeroskinCX upper mesh provides optimum breathability. An ergonomic fit and enhanced comfort are guaranteed by a premium last design, while the Anti Drag Zone technology helps combat high stresses for improved abrasive resistance. The shoes also provide superior impact resistance and injury prevention due to the D3O Impact Protection technology and are equipped with the AEGIS Antimicrobial lining that helps fight bacteria and odours keeping your feet clean and fresh for longer. for submitting product review about Dunlop Ultimate Lite Mens Court Shoes.